Queen Elizabeth II was crowned at Westminster Abbey on June 2, 1953. The 60th anniversary of the Queen's coronation is being marked with several celebrations, including the rebroadcasting of the coronation film and a service coming up this week. 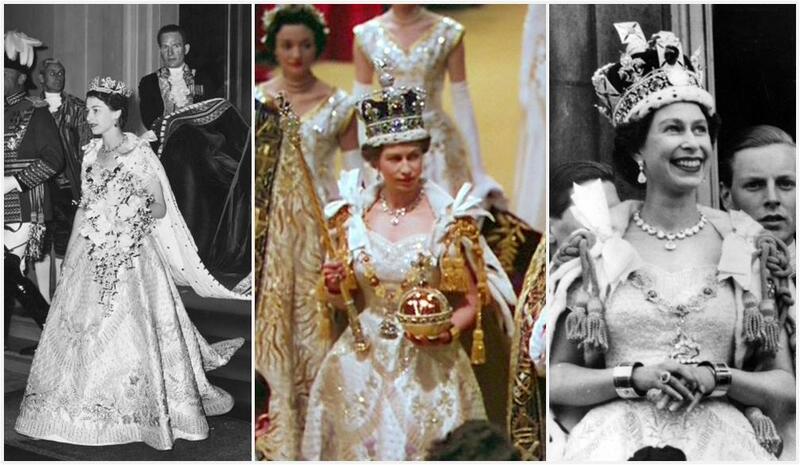 Last year, for the Diamond Jubilee, we had a series of posts on the other blog commemorating the coronation, including the Queen's ornate Norman Hartnell gown and some of the crown jewels used, so this flashback will be brief. We haven't touched much on the crown jewels here, but we have covered the Imperial State Crown (which she wore after the actual crowning, which was done with St. Edward's Crown), and the Sovereign's Ring. She arrived wearing the George IV State Diadem and carrying her coronation bouquet. She followed tradition and wore the Coronation Necklace and Earrings, as well as her engagement and wedding rings and a petite Jaeger-LeCoultre watch. Her mantle was draped with the Collar and Great George of the Order of the Garter. 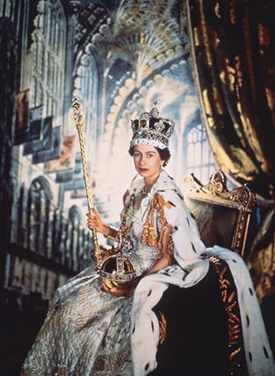 If you're in the mood for more coronation fun today, in addition to the film embedded above, The Coronation of Queen Elizabeth II is a great documentary available on YouTube, as are many other gems.